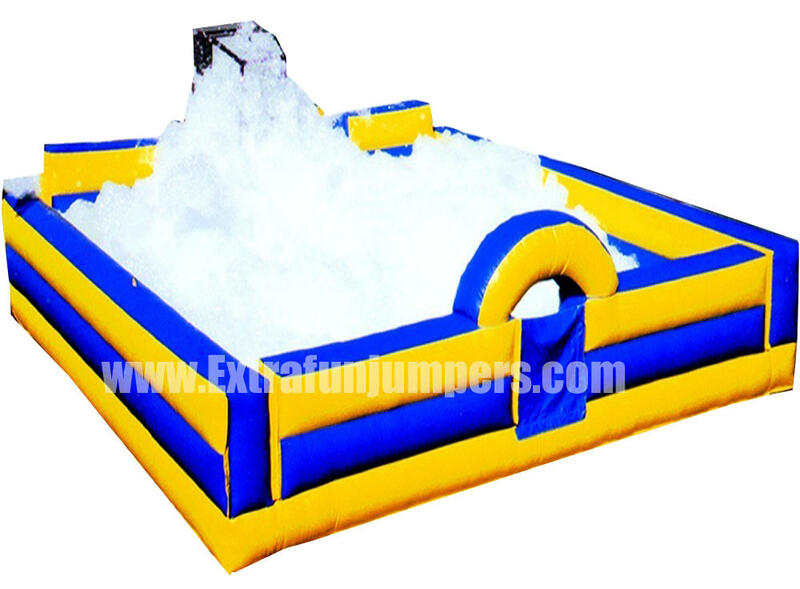 Have the inflatable Foam Pit for your next event to make it stand out from the crowd. The Inflatable Foam Pit is good for any age from Elementary School children all the way up to grown ups. This 20w X 20L X 7h is good up to 20 people at a time. Note: Customer must privide 2 separate electrical outlets with in 75 feet reach from the set up arae, a garden hose with water source. Operator included for duration of the party. after long periods of contact.